Sometimes scholars should be more careful: Youthful researcher Diana Bishop briefly consults an medieval alchemical manuscript; then, after jotting down a few notes, sends it back to its prison in the stacks. Unfortunately for Diana, her quick dabbling has unleashed a long suppressed curse—and now only she can break the spell. Carefully researched, this debut novel will appeal to fans of historical novel infused with strong paranormal elements. 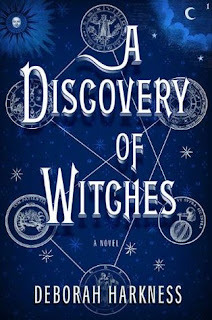 One of my favourite reads on 2011 so far is A Discovery of Witches by Deborah Harkness. I really wanted to at least write something about it, so it is fun that this post is with Heather and Marg. I am rather surprised that I enjoyed this book as much as I did. It had a few plot devices and character arches that I was not a huge fan of typically, but for some reason it all came together well enough to make an enjoyable reading experience. I have the first part of the discussion, then Heather has the second part, and Marg is posting the third part. Enjoy! Kelly - I really enjoyed this book. It took me a while to get into it, though. The first little while I could take it or leave it, but then I started to get caught up in the story and I ended up reading the last of it in pretty much one sitting. I was having some issues with reading at the time, so I was so excited that I found a book that worked for me. I don’t read a lot of books about witches, so I was excited it was going to be something ‘different’. This book just called to me. The minute I saw it was coming out, I knew I had to read it. What about you two, what was your experience like with this book? Marg - I was immersed from page 1. There were some slow patches later in the book but for the most part this was a book that I just got lost in from beginning to end. It was a book that I was more than happy to tell other people to read! Heather - I really enjoyed this book too. It didn’t take me really long to get into it. Anytime there is a mysterious book integral to the plot, I’m pretty much hooked! It reminded me so much of The Historian, another book I was crazy about. What about you guys? 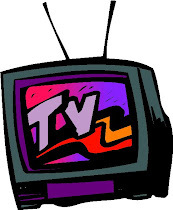 Any problems with the story for you? What about the historical details? I love that Harkness is a historian. How do you think that added (or took away?) from the story? Kelly - Well, it bothered me that right in the book description it compares this book to Twilight. As soon as I read that, I couldn’t help thinking about that book while reading this one. I feel like that comparison limits this series to readers. I know that if I had known about that comparison before getting excited about the book, I probably would have given it a pass. And, yes, comparisons can be made. The romance angle mostly. I didn’t really find that Diana was obsessed with Matthew, though. And, it took a while to move in that direction. It wasn’t a sudden thing. Plus, she is not ‘too stupid to function’. But, yes, it is pretty much an adult version of the young adult series... It would have been nice if she could have changed things a bit, but then, if you do anything nowadays it seems to be similar to something else. I loved the historical details. It gave you some perspective on Matthew, for example. He has been alive a long time and you can actually understand that length of time when you have things to compare it with. I also think that history will play a huge role in book two; so I think that it is important that she is a historian and knows what she is talking about. The details come alive more as you are reading about them. It is not just a simple rehashing of details. The old books were my favourite part of the history, though. I enjoy books that are about books in some way. It gives me more of a connection to the story when the author is writing about something that I love. I also love history, witches, and fantasy in general, so this had a lot for me to get excited about. 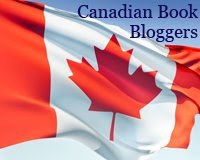 Be sure and travel over to Heather and then Marg's blog to read the rest of the discussion! I'm itching to get to my copy of this one!!! Do it Staci! Such a fun read! **Staci: I hope you enjoy it! **Marg: Thanks for reviewing it together!